We want to thank everyone who shared with Wednesday's Adorned From Above Link Party 76. We love seeing all of your posts. We decided to change the party up a bit, and are now starting it at 6:00PM on Tuesday's. We are also putting links in random order, so that all posts get a chance to be seen. Welcome to Wednesday's Adorned From Above Link Party 77. 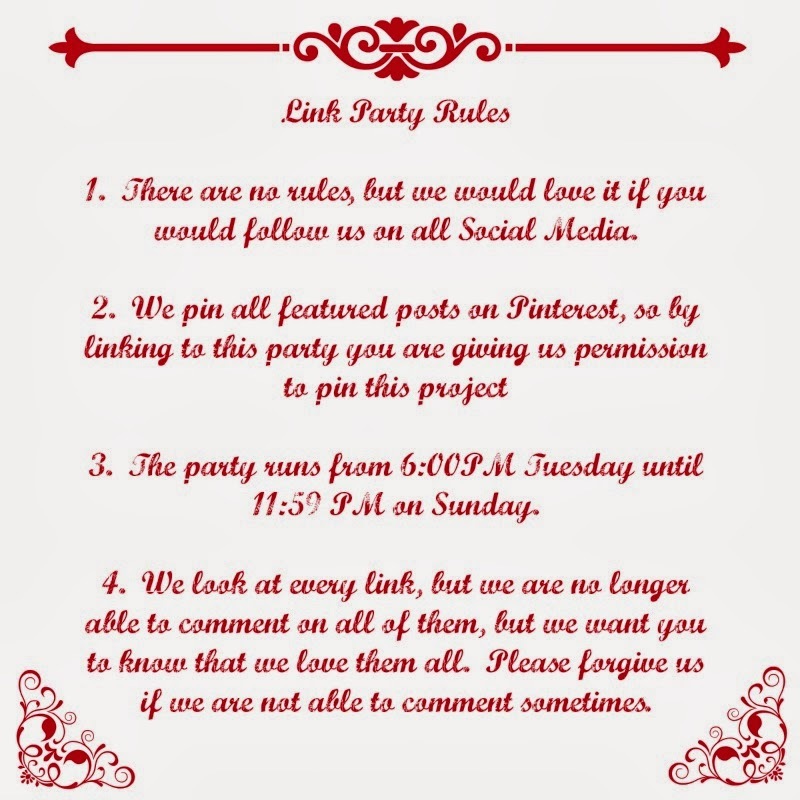 We will have the featured bloggers from Link Party 76 next week. Please check back then to see all of the features for both parties. Hi Debi and Charly, hope your week is going well. Just wanted to thank you for hosting. Have a wonderful weekend. Have a happy week of Valentine's. Thanks for hosting! Happy Valentines Week! Thank you for the fun party ladies! Have a wonderful and romantic Valentine's! Thanks for another great party ladies!! I hope you've had a good week! Thanks for hosting! Hi Ladies, thanks so much for hosting and wishing you both a wonderful Valentine's Day! Thanks for another great party ladies! Happy Valentine's Day to you two lovely ladies and thanks so much for hosting. Thanks so much for hosting. Hope you have a wonderful weekend.